I was out shooting some early morning photo’s from the rooftop of the new OSF Milestone building. 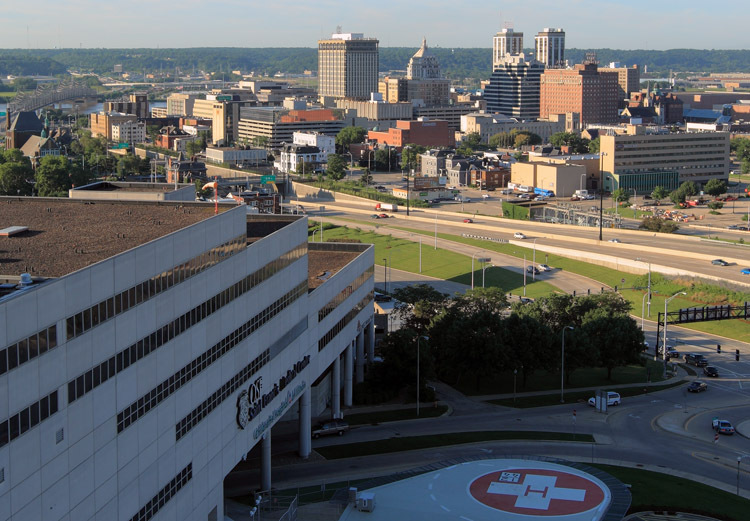 The rooftop has two state of the art helicopter landing pads for emergency patients. The view is spectacular looking out over the River City. The Peoria Skyline from the new OSF Milestone Bldg.